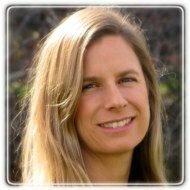 Boulder Therapist: Heather Pylant - Therapist 80304. I work with couples and families and individuals who want more satisfying, loving relationships. I assist people who suffer from stress, anxiety and/or trauma to bring them back into a state of natural peace. With my crisis intervention work and interfaith pastoral practice, grief, loss, illness and death and dying are my specialities. Session Fees: There is no charge for the initial 30-minute consultation either by phone or in person to see if we're a good fit for each other. My aim is to provide a safe setting where you feel comfortable being honest with yourself and me. Together, we help your nervous system regulate itself gently through the use of various techniques which will set your mind at ease. I see you just as you are as whole and resourceful and inherently wise. My role as a therapist lies in assisting you in your own unfolding and understanding. My experience in mindful living and compassion supports me to be fully present for you and your process. Our relationship is the basis for trust from which insight can arise. I look, listen, open and utilize my skills to serve you on your path to discovery as fully as possible. My style is engaged, accepting, and relational. I value the uniqueness of your path and realize the way to integration is varied and extremely personal. I offer a strength-based multi-modal approach incorporating systems and experiential models, EMDR, Gestalt, attachment and somatic work, expressive arts and contemplative tools. I feel passionate about reconnecting to the alive gut-sense knowing in each of us and following its lead. You are the expert on you and trusting that is at the heart of my practice. My fifteen-year marriage has given me close-up experience of the challenges and richness of long term relationship. Raising two children in that time allows for an intimate understanding of families and how parenting can bring even the hardiest of us to our knees. I specialize in stress-relief, shame, relational dynamics, trauma work, depression, women’s issues, self-expression, and contemplative techniques. I also serve those coping with illness, grief and loss, death and dying and other significant life transitions. Understanding the nature of suffering, the most humbling of teachers, and the way to freedom is my personal and professional life-long pursuit. Please contact me if you'd like to speak about what brought you to this page, your questions, and what I might be able to offer. You may be facing tough transitions, adjusting to losses in your life, or battling longstanding self-defeating patterns you wish to shift. Perhaps you may want to deepen your capacity for intimacy or just see more clearly ~ either way, anything is possible.